The Boss Baby comes to us as unexpectedly as one of those tabloid headlines about a woman who thought she had months of indigestion but was actually pregnant – it’s a surprise to say the very least. As such, I wouldn’t blame adults for taking a handful of antacids heading into this one, or glugging down more than one glass of wine at dinner beforehand. 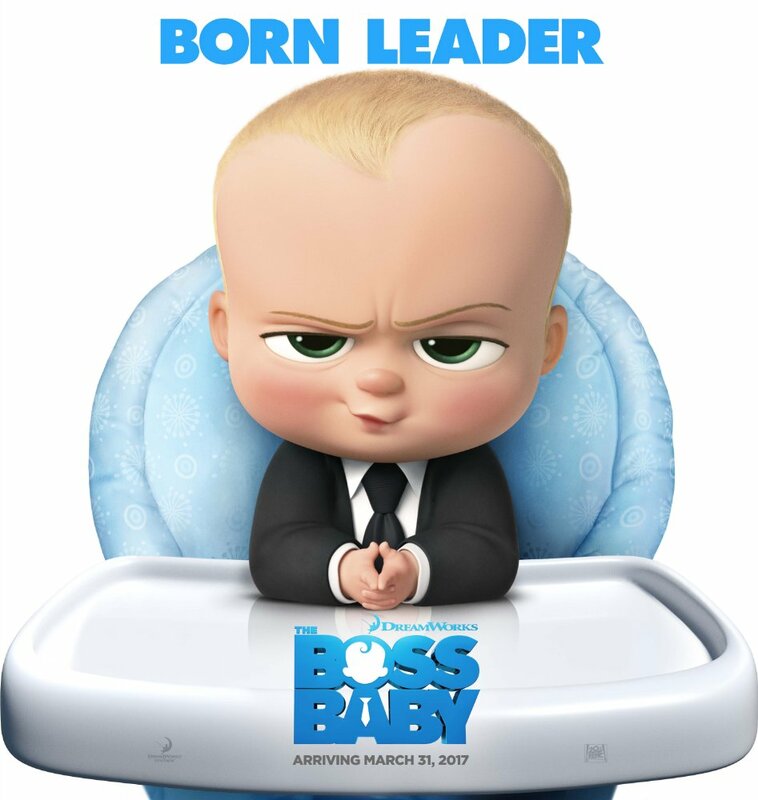 And although The Boss Baby turns to mush exactly when you expect it to, the care and the thought pumped into the rest of the movie provide a suitable knockoff formula to tide over the youngsters for an hour and a half without making the grown-ups sit there completely annoyed. You could say that The Boss Baby initially resembles a kid’s Bible version of Cain and Abel’s brotherly spat minus all of the metaphors and the murdering. Tim (Miles Christopher Bakshi as a child, Tobey Maguire as the narrator) would be the Cain of this unsteady buddy tandem team with no training wheels. He’s the firstborn, well-adjusted to a luxurious life of constant attention and affection from his Mom (Lisa Kudrow) and Dad (Jimmy Kimmel). Real life firstborns seem to struggle with this stage of identity crisis; pivoting from being an only child to an older sibling has to have its challenges. And so it does for Tim, whose world is turned upside down at the arrival of his new infant brother, known only as Boss Baby (Alec Baldwin). As you might guess from the sock garters and the black tie, this baby comes with baggage. Adapted from Marla Frazee’s nighttime read, The Boss Baby admirably tackles a high-concept idea with an appropriate sense of style. Tim’s an imaginative kid and his antics rip across the screen like an Animaniacs cartoon, weaving his dreamy exaggerations with reality. Then when the big reveal occurs and he figures out his little brother can literally talk and negotiate with the best of them, there’s a glitch in this movie’s matrix. It becomes a wandering detour, rerouting us to a different and less satisfying climax than we might have hoped for. Tom McGrath’s film makes the effort to steer us without goading or prodding, but it’s cookie cutter final act draws more ire and ambivalence than excitement from audience members over the age of 5. The Boss Baby isn’t a stupid movie, nor is it a very smart one either. But it has legs, and they churn at the speed of a track champion going all out to deliver as many jokes as possible. The film is tireless and opportunistic in that regard, at least for the opening two-thirds before it dumbs itself down into tedium and spit-up. The Boss Baby should not be this long, the ending is a potential future cash-grab, and its vision is somehow both unfocused and dilated. And you know what? It made me laugh, appreciate the frenetic nature of true cartoons with its beautiful animation, and it tells kids that getting along is rewarding. That’s quite the pacifier.